We’ve been unable to work on the patio for going on a month now due to rain. 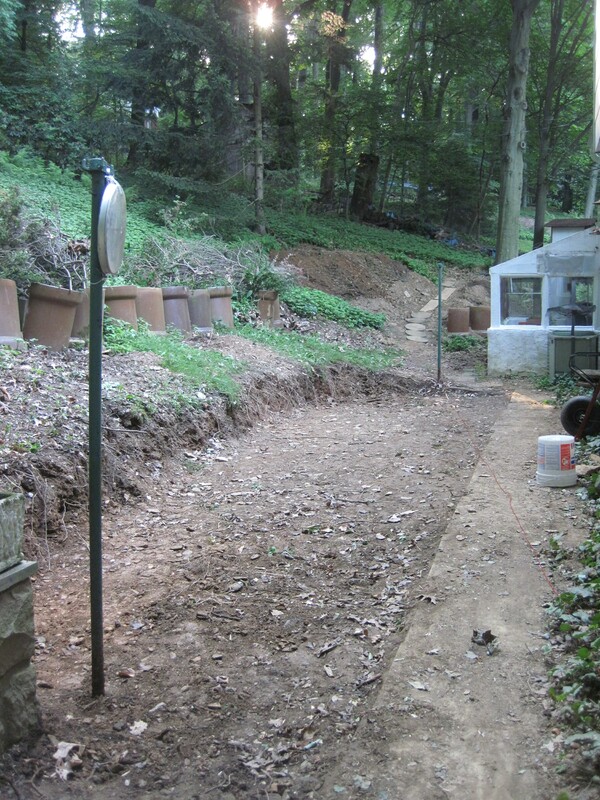 When the future patio gets wet, it is impossible to dig or to transport the dirt up the hill so we don’t even try. Fortunately, we had a dry weekend so we got back to business. 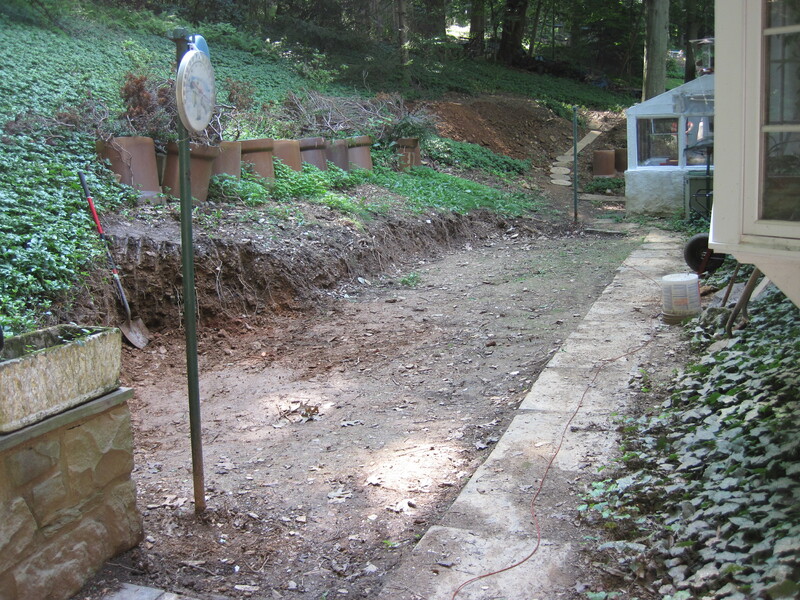 This weekend we focused on pushing our future patio farther into the hill. We want to make sure the patio space is deep enough for a big table (anyone up for a future-barbecue?) and wide enough for a baby pool, the table, and a couple lounge chairs and a firepit. Yeah, we’re ambitious. That shovel is supposed to give you an idea of how deep we’re digging. We’re carving out a mountain. It’s tough work, but will be totally worthwhile. Feel free to stop by anytime you want to get your dig on.